Substance abuse social workers play an essential role in helping individuals facing addictions recover or supporting community advocacy programs that reduce the portion of the population abusing substances. This is a complex and demanding branch of social work, but it is also increasingly necessary as the U.S. faces numerous challenges regarding drug and alcohol consumption. The Centers for Disease Control and Prevention performed a major study of deaths related to drug use in the U.S., tracking statistics from 1999 through 2016. The results pointed to a widespread and large-scale opioid problem that impacts a significant portion of the country. More than 630,000 people died as a result of a drug overdose during this time period. Of those deaths, approximately 66 percent involved the use of an opioid. According to the study, the number of deaths associated with natural and semi-synthetic opioids has increased gradually from 1999 to 2016. This coincides with the beginning of a rise in deaths related to prescription drug overdoses. Deaths related to heroin overdoses increased sharply from 2010 to 2016, and deaths from synthetic opioids rose even faster. In 2013, synthetic opioids significantly trailed heroin and natural opioids in the number of deaths. By 2016, synthetic opioids became much more prevalent in overdose deaths than the others. All told, the number of overdose deaths associated with opioids in 2016 was five times higher than it was in 1999. Tracking alcohol abuse across the entire population is challenging, but identifying and monitoring signs of alcohol abuse is more feasible. One of those signs is binge drinking. While this practice is not as deadly as opioid use, it is much more widespread. The CDC found that approximately 1 out of 6 U.S. adults binge drink four times per month. Based on data from the 2015 Youth Risk Behavior Survey and Behavioral Risk Factor Surveillance System, approximately 17.7 percent of high school students (grades 9-12) binge drink, with that figure climbing to more than 25 percent for adults aged 18 to 34. There’s a gradual decline when looking at older population groups, but it’s clear that binging is a widespread issue. 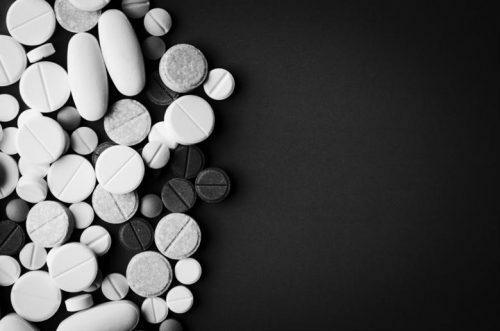 The challenges in preventing and treating substance abuse are manifold, with addiction and abuse coming from a wide range of sources and population groups. The large scale and high complexity of the issue makes social work especially important. According to SocialWorkLicensure.org, social workers interacting with individuals with substance abuse problems also often end up working as mental health counselors, as there is a strong correlation between the two. For example, incidents of substance abuse are much higher than normal among the population of people with schizophrenia or bipolar disorder. Furthermore, individuals coping with some form of trauma often end up at higher risk of drug or alcohol abuse, creating another link between mental health and substance abuse. The strong correlation between mental health and substance abuse has created a situation in which social workers in the sector often serve as counselors. Doing so requires a master’s in social work, as state licensure bodies almost exclusively require individuals to hold an MSW or comparable degree when becoming a licensed counselor. The Social Work Licensure report highlighted that social workers who provide some counseling or support under the supervision of licensed clinicians can do so without certification, but anybody hoping to work independently as a counselor will need to get certified. The day-to-day work often involves diagnosing mental health conditions, providing or advocating for integrated dual disorders treatment, and ensuring a long-term chain of care, the report said. In many cases, pharmacological solutions for mental health issues can lead to a rapid stabilization of patients, but it is up to social workers to provide the counseling and ongoing support to help individuals cope with their challenges and sustain long-term intervention as needed. There are many reasons to want to work with those working through substance abuse challenges. Whether you want to help with the macro issues facing the nation or are drawn to the profession due to more personal experiences, or perhaps a bit of both, developing skills in clinical social work is essential. The online MSW program at Regis College specializes in clinical social work, with our curriculum focused on preparing students to work as counselors and emphasizing evidence-based care models. Want to learn more about how the RC MSW can help you prepare for substance abuse social work? Contact us today, and we’ll put you in touch with detailed resources and an enrollment counselor to help you get to know us better.